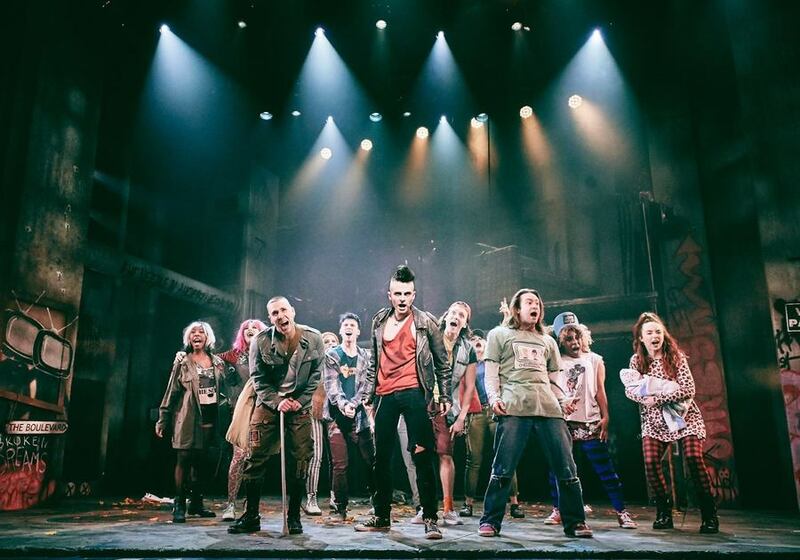 2019 is the tenth anniversary year for Green Day’s American Idiot: The Musical, and the 15th anniversary of the release of the Grammy Award-winning album of the same name. Back in 2004, American Idiot placed a firey marker in the post-9/11 sand, making it the pop-punk voice of a frustrated generation. 15 years on, lines like “Don’t want to be an American idiot, one nation controlled by the media” feel as on point today as ever. Guided by the savvy creative hands of director and choreographer Racky Plews, that spunky anti-establishment frustration bounces with the same vigour, spirit and energy. The story follows three boyhood friends – Johnny (Tom Milner), Tunny (Joshua Dowen) and Will (Samuel Pope) – searching for more from life in post-9/11 America. Vowing to leave their humdrum suburban streets behind they each take a different road, facing different challenges, from fatherhood, to life in the armed forces, to drug addiction. In terms of dialogue, it’s pretty sparse – the story hangs rather loosely with a few call-outs of dates or occasional brief chats between characters. But then this production is all about the music. With an impressive live band consisting of Robert Wicks, Chris George, Nick Kent and Charlie Maguire, the emotion in tracks like Wake Me Up When September Ends, Boulevard of Broken Dreams and Are We the Waiting means that what the show lacks in dialogue is made up for in its rich lyrics. While some of the cast may be familiar from appearances on saccharine sweet Saturday night shows The Voice and The X Factor, on stage they have impressively metamorphosed into spunky, angry, feisty youths who flick their fingers to the world as frequently as they strum the strings on their guitars. 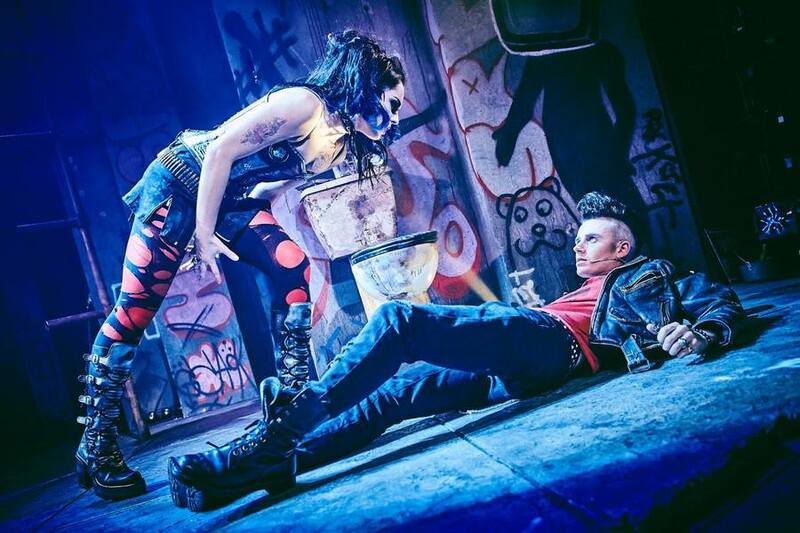 Milner shines as Johnny, belting out an impressive vocal range and commanding attention with a plucky charm, while Sam Lavery as Whatsername is equally memorable, delivering angry hits like Letterbomb and hitting each note with ease. 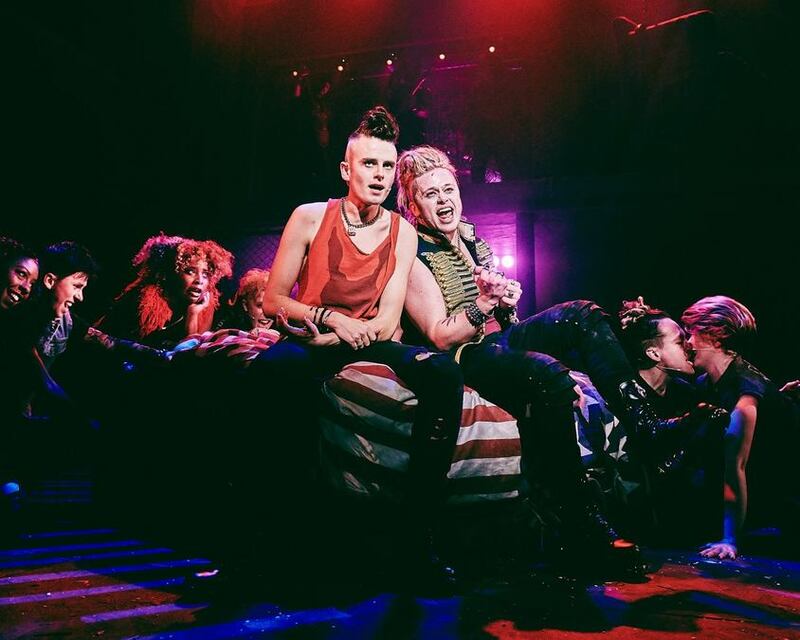 American Idiot is a feisty, spirited production which, despite lacking in dialogue, certainly speaks volumes for our disenchanted generation.